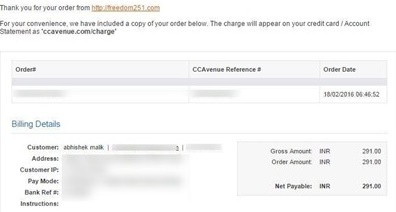 Confirmation SMS/E-Mail Sent Freedom 251 Deliveries Starts from 30th June 2016 :The wave of cheapest smartphone has finally made its presence, This is the time for the people who have made there reservation for the Freedom 251 in the past month, Which has also called to be a huge scam under the name of digital india. We all were hoping for the mail or the SMS to be revived by the company. And finally Renging Bell started giving the confirmation. If you haven’t got the mail please do not panic because it’s going to take a while for the company to send Mail or SMS to all the buyers. This confirmation will only be send to first 30K consumers, So if you have bought this smartphone at the last days you can nearly forget that you are getting the confirmation Mail or SMS. Because this is a kind of test how its really going to do in the hands of the people and how is the reprocess of the product. 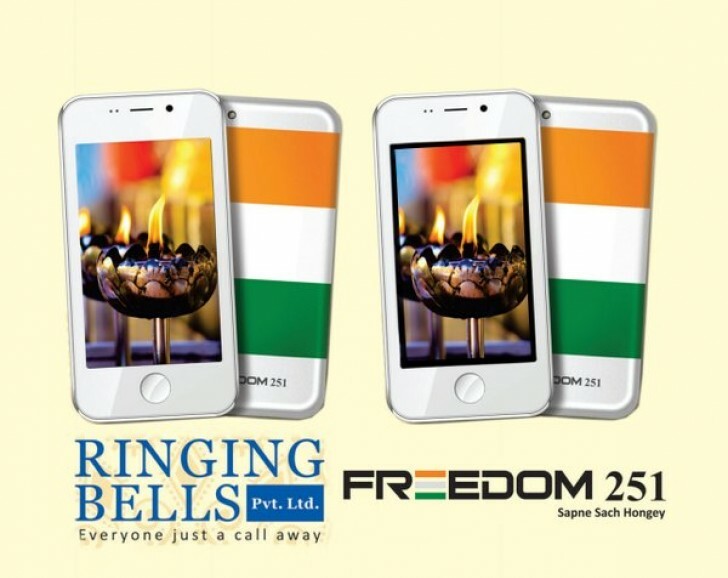 Here is complete information about FREEDOM 251. This is the time for the people to be really happy that they are going to have the cheapest smartphone in the whole world. And there will also be the additional chargers for the owner’s as the shipping chargers are included. The amount of shipping charge is 40/- Rs. The Delivery of Freedom 251 is going to be starting on 30th of June. So, cross your fingers that this smartphone show’s a great response. Next wave for the buyer’s come’s more sooner.